We are highly acknowledged organization engaged in presenting a remarkable range of Tapioca Starch Powder. We provide Industrial Grade Tapioca Tapioca Starch for various gum and dextrin industries. It is also used to make Corrugated gum. The price depends on the colour and the viscosity of the product. We provide it in 90kg or 50kg packing. We have carved a niche amongst the most trusted names in this business, engaged in offering a comprehensive range of Vietnam Tapioca Starch Powder. Tapioca is a starch extracted from the root of the plant species Manihot esculenta. Tapioca starch is found in the cells of the tubers. 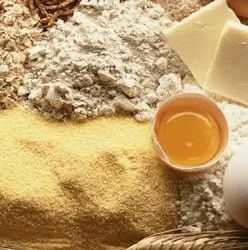 The starch is recovered by wet grinding the washed roots and continuous rewashing, resulting in a pure carbohydrate. We Are Manufacter and Exporters Of Maize starch. Textile, Food, Adhesive, Pharmaceutical, Mining, Cosmetic And Explosive Intustries Etc. Native Tapioca Starch A-grade of high purity & high quality from proven technology. The product is very consistent in quality. 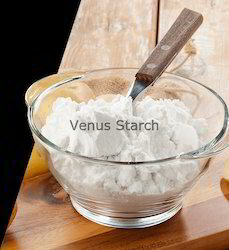 CMS (Carboxy Methyl Starch) is a Creamy White Color Free Flowing Powder. It is soluble in cold water and it is odourless.